DIY There are 49 products. A wide choice of gourmet flavors, fresh, complex or simple. 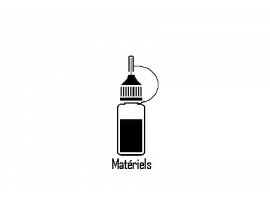 All the necessary equipment to make your e liquid itself (DIY). Concentrated aroma for DIY. If you are looking for the sweetness of vanilla mixed with the delicacy of the fluted topped with a hint of rum, this aroma is for you. Gourmands and gourmands take it now! Concentrated need to be dilute in a base. DO NOT VAPATE DIRECTLY. Concentrated aroma for DIY. Succumb to this fruity and fresh aroma. A base of red fruits, anise and mint for an explosion of flavors. Concentrated need to be dilute in a base. DO NOT VAPATE DIRECTLY. Concentrated aroma for DIY. If you like red fruits and mint, this aroma is for you. A base of forest fruits enhanced by the freshness of mint and anise. Concentrated need to be dilute in a base. DO NOT VAPATE DIRECTLY. Concentrated aroma for DIY. Want to exoticism ?? Bathilde is for you. 814 has harmoniously mix Banana, Strawberry, Pineapple, Kiwi and Mango to make it a gourmet aroma that will make you travel. Concentrated need to be dilute in a base. DO NOT VAPATE DIRECTLY. Concentrated aroma for DIY. Let yourself be tempted by this aroma that has been able to mix perfectly fruit and greedy. Rhubarb, apricot, yellow fruit and a touch of caramel voila what makes all the wealth of Bell Clap. Concentrated need to be dilute in a base. DO NOT VAPATE DIRECTLY. Concentrated aroma for DIY. 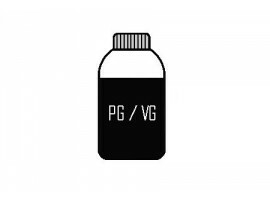 An e-liquid so generous for greedy addicts that we now propose it in DIY. A base of blueberry, juicy grapes all enhanced by the freshness of anise. Concentrated need to be dilute in a base. DO NOT VAPATE DIRECTLY. Concentrated aroma for DIY. Let yourself go to the sweetness of red fruits (cherry, berries, red fruits), followed by the explosion of freshness (menthol, eucalyptus, anise). In short an explosive mix that will delight the most difficult! Concentrated need to be dilute in a base. DO NOT VAPATE DIRECTLY. Concentrated aroma for DIY. Fan of gourmand tobacco, this aroma is for you. A subtle blend of biscuits, brown sugar and coffee liquor make this aroma a pleasure to vape in the morning at breakfast. Concentrated need to be dilute in a base. DO NOT VAPATE DIRECTLY. Concentrated aroma for DIY. An e-liquid so generous for greedy addicts that we now propose it in DIY. When Clara meet Red, this gives a balanced Red Astaire with softer mint and anise. Concentrated need to be dilute in a base. DO NOT VAPATE DIRECTLY. Concentrated aroma for DIY. A blond tobacco aroma with a hint of dark chocolate. Concentrated need to be dilute in a base. DO NOT VAPATE DIRECTLY. Concentrated aroma for DIY. A blond tobacco aroma with a hint of caramel. Concentrated need to be dilute in a base. DO NOT VAPATE DIRECTLY.